100 Answers to 100 Questions Every Graduate Should Know gives you the best advice and the ultimate options for every day of the rest of your life. Sound like a promise only God could make? You got it. 100 Answers To 100 Questions Every Gradu by Jayce O'Neal; Lila Empson was published by Charisma House in March 2009. 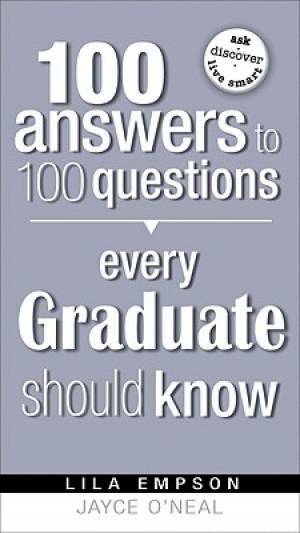 The ISBN for 100 Answers To 100 Questions Every Gradu is 9781599794792. Be the first to review 100 Answers To 100 Questions Every Gradu! Got a question? No problem! Just click here to ask us about 100 Answers To 100 Questions Every Gradu.